Some of you have asked why you press the sheer part while it’s still on the needles, and if this replaces blocking. The sheer part is pressed for two reasons. First, it makes the fabric look smooth and not like a mistake. Second, it lets you get an accurate measurement of that part of the sweater. As for blocking, you will notice there is no instruction to BLOCK this garment (as there is with, for example, the Einstein Coat). 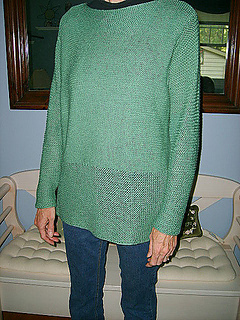 This garment is designed for a heavy, summer yarn, like cotton or similar, and is knit in garter stitch. It doesn’t need to be blocked in the same way a wool garment does. 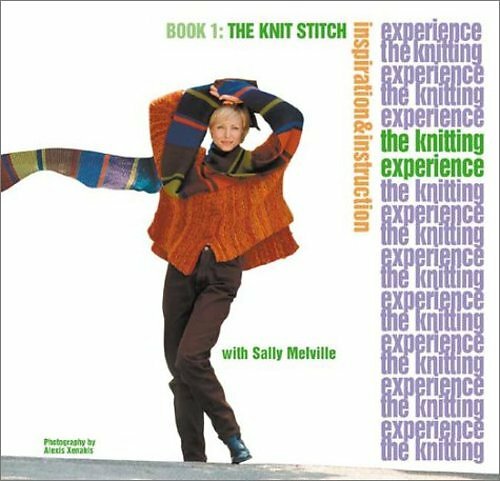 Once it is knit, with the sheer pieces pressed, it’s finished.